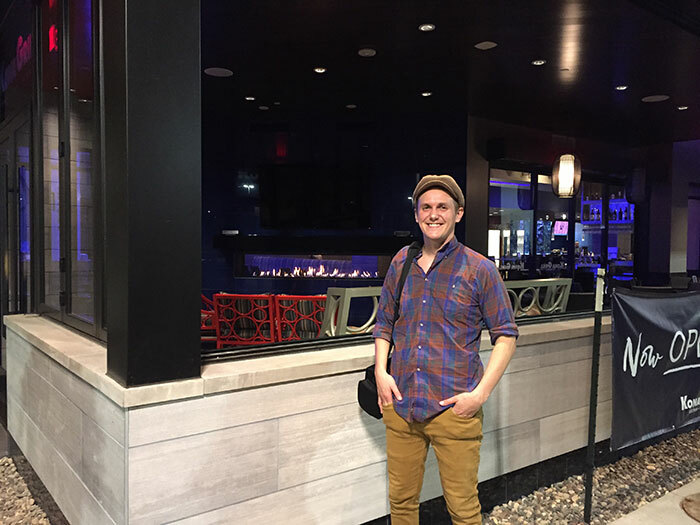 The foodie culture in Minneapolis/St Paul is thriving! 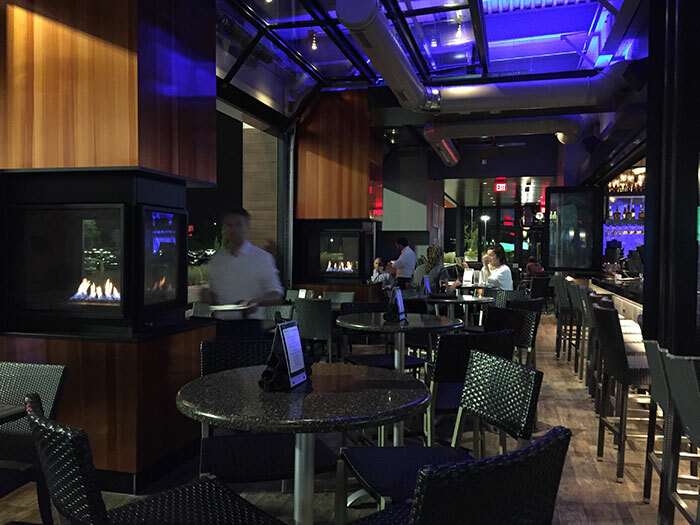 New restaurants are popping up all over town and All Seasons Fireplace has had the opportunity to work on a few really fun projects. 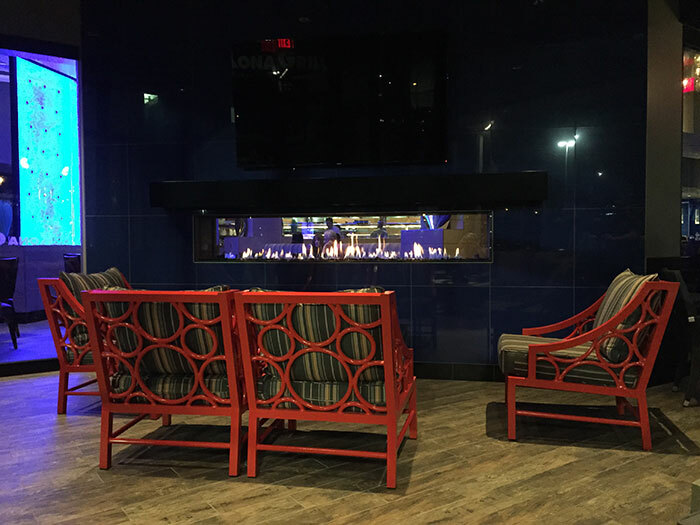 Our most recent commercial space design project for the Kona Grill in Minnetonka is turning heads.The Kona Grill is located in the Ridgedale Center, which has recently added a Nordstrom store and undergone a building renovation. We spent some time a few weeks ago snapping some photos of the restaurant space. Our photographer, John Magnoski, and Cory Ploessl from European Home joined us for a photo shoot. The photos in this blog are not the professional shots from John. Be sure to check our website to see those a little later. 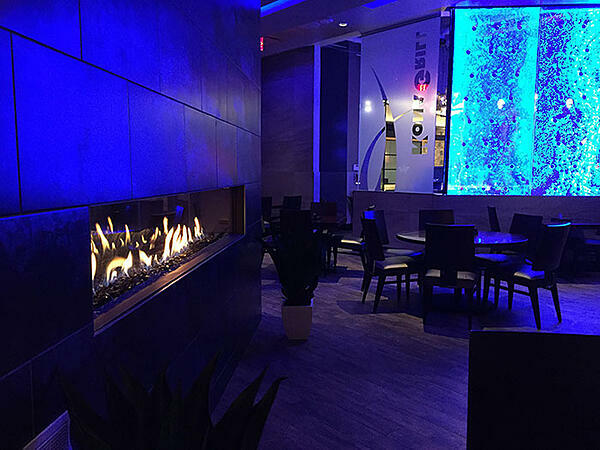 We installed a European Home/Element 4, 8-foot long, see-through linear fireplace in the Kona Grill. 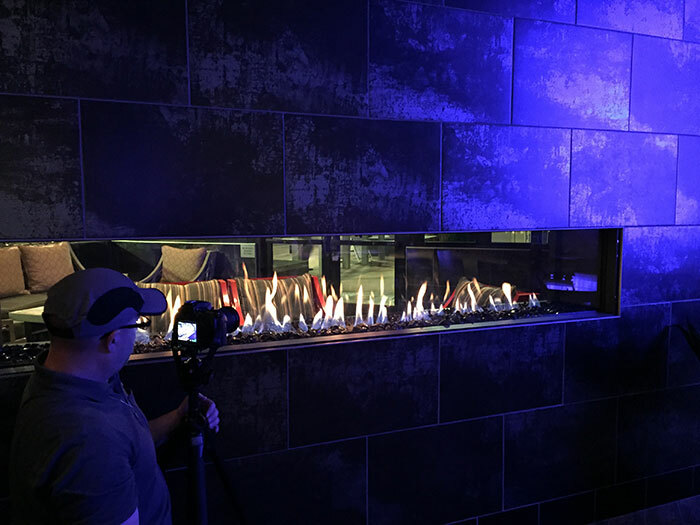 Thanks to our expert technician, Nick Niesen, this giant linear fireplace provides dancing flames that fascinate and delight. The designers had a heyday with this space. The two sides of this see-through fireplace are completely different. One side is finished with large dark tile that allows diners to enjoy the low light and the bubbling water wall.Read European Home's blog on this project for more specifices on Sky Ader's design process. On the other side, the bright blue tile and the orange accent furniture provide a different experience.Walls roll away and diners enjoy the outdoors while sipping drinks and enjoying each other’s company. Two three-sided Majestic fireplaces take the chill out of the air during the early spring and fall months in the patio area. When snow falls, they can simply roll down the walls and enjoy the cozy atmosphere - and the sushi! Thank you to European Home, Cory Ploessl and John Magnoski for the help with the photo shoot. To see photos of other fireplace installations we’ve done, check out our Project Gallery. For more information about linear fireplaces near Minnetonka, Contact Us.